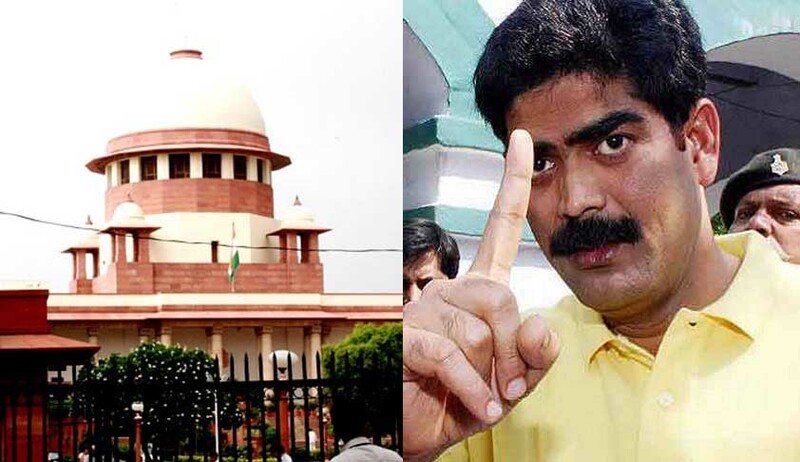 Bihar government and Centre yesterday told the Supreme Court that it is not "averse" to shifting of controversial RJD leader Mohammad Shahabuddin from Siwan jail to Tihar prison in Delhi to protect witnesses and ensure a fair trial in the pending cases but his counsel has fiercely opposed the move. A bench of Justice Dipak Misra and Justice Amitava Roy is likely to pronounce its verdict today. The wife of murdered scribe Rajdev Ranjan in which also Shahabuddin is under scanner made such a demand along with Siwan-based Chandrakeshwar Prasad, whose three sons have been killed in two separate incidents. The bench has already said this is a test case for the "concept of fair trial and witness protection”. Shekhar Naphade, senior counsel who appeared for Shahabuddin who faces trial in 45 cases including one in Jharkhand,contended that transfer of the case to CBI “is one thing but the transfer of accused or the convict to Delhi is not warranted, as the right of visitation by his relatives would be jeopardized, apart from other grounds”. Additional Solicitor General P S Narasimha appearing for Centre however submitted that it is a fit case where Shahabuddin should be transferred to Tihar Jail, Delhi and the trial in the pending cases should be held at Delhi. After the submissions, Justice Dipak Misra said “the core issue that would arise for deliberation is whether the concept and conception of fair trial would command transfer of the cases to the CBI for conducting as well and the shifting Respondent No.3 (Shahabuddin) from the District Judge, Siwan to Tihar Jail, Delhi. “Let the matters be taken up for further hearing today at 2.00 p.m”, said the court. "We are not averse to shifting of the accused to Tihar jail but the court should also decide the mode of trial of pending cases against him," the counsel representing the Bihar government said. During the hearing, the bench said, "You (the Bihar government) file the list of all the cases against him including in which he has been convicted or acquitted". The counsel said that the list has already been filed and is on the top court records. Senior advocate Dushyant Dave appearing for Siwan-based Chandrakeshwar Prasad, whose three sons have been killed in two separate incidents, said that all these incidents have taken place when Shahabuddin was in Siwan jail. He also informed the bench that Shahabuddin had alleged that lack of means while seeking legal aid counsel to defend him in various cases. The plea was allowed by the trial court. Dave further said that interestingly, the state government challenged the order in the Patna High Court which in turn stayed the trial court order leading to stalling of proceedings in all criminal cases against Shahabuddin. "Since the legal aid counsel was looking all his 45 cases, the trial eventually got stayed after the Patna High Court order," Dave said. The court marked Dave’s submissions in its order saying: “it is submitted by Mr. Dushyant Dave, learned senior counsel appearing in connected writ petition, being W.P. (C)No.147/2016, the petitioner has lost three sons and Respondent No.3 has been convicted but in many cases trial is in process. According to Mr. Dave, the case should be transferred to CBI for further investigation and the respondent should be shifted to Tihar Jail at Delhi”.